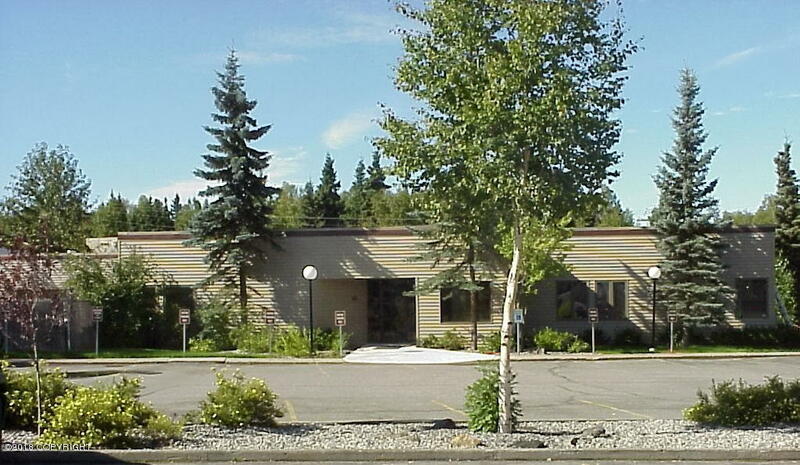 Professional office space in a well appointed single story creek side building in midtown, easily allowing for ''bike to work'' on Anchorage's bike path system. 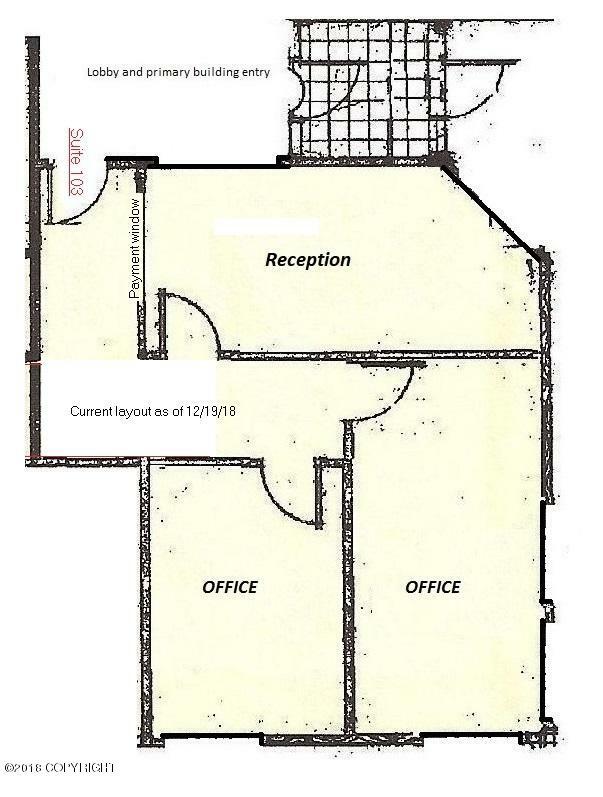 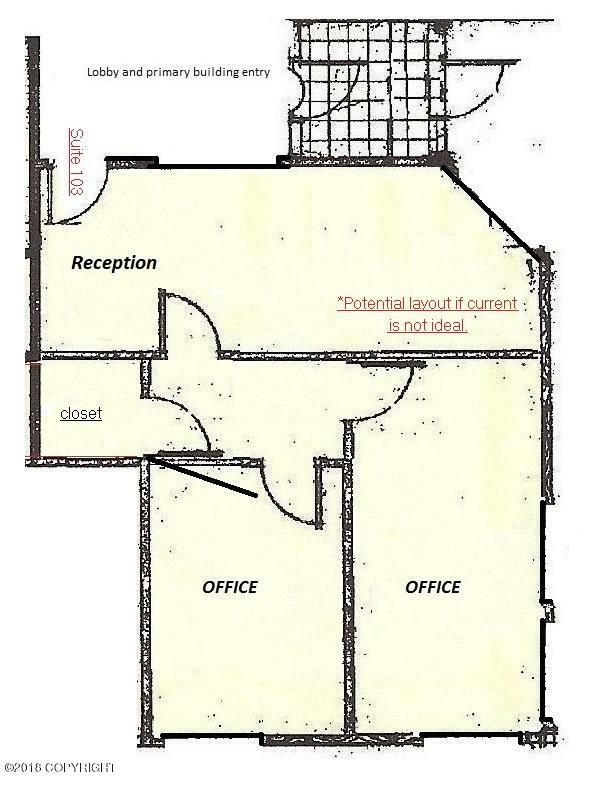 The space has a reception area that is set up with a ''payment window'' situation so the receptionist has a true office, and there are also two private windowed offices in the space. 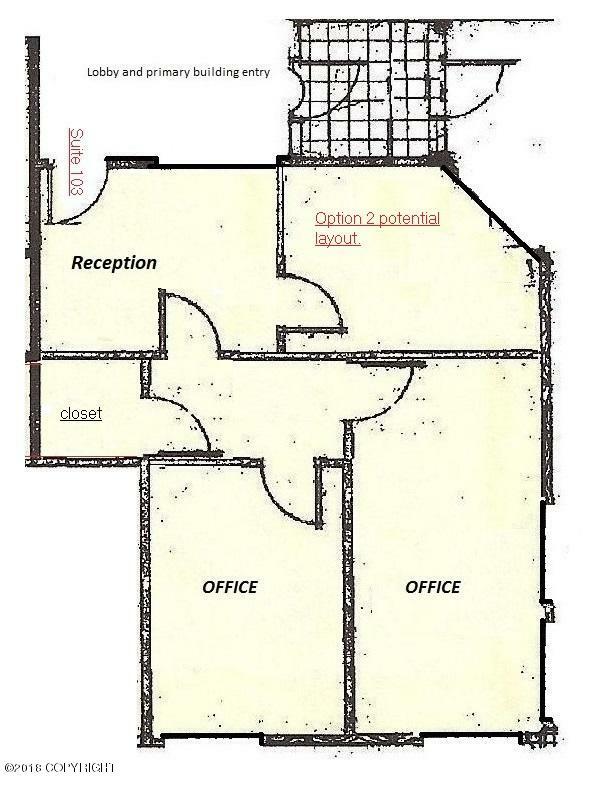 Square footage is inclusive of the common area ''load''.